Chicago — On March 14, Chicago Mayor Rahm Emanuel released the New Transportation and Mobility Task Force report, “Roadmap for the Future of Transportation and Mobility in Chicago.” Chaired by former U.S. Department of Transportation Secretary Ray LaHood, the Task Force met over the last six months to establish a forward-looking and innovative roadmap to support a 21st century, multi-modal transportation system that effectively integrates new mobility services and technologies. Download the report at www.chicago.gov/content/dam/city/depts/mayor/Press%20Room/Press%20Releases/2019/March/MobilityReport.pdf. 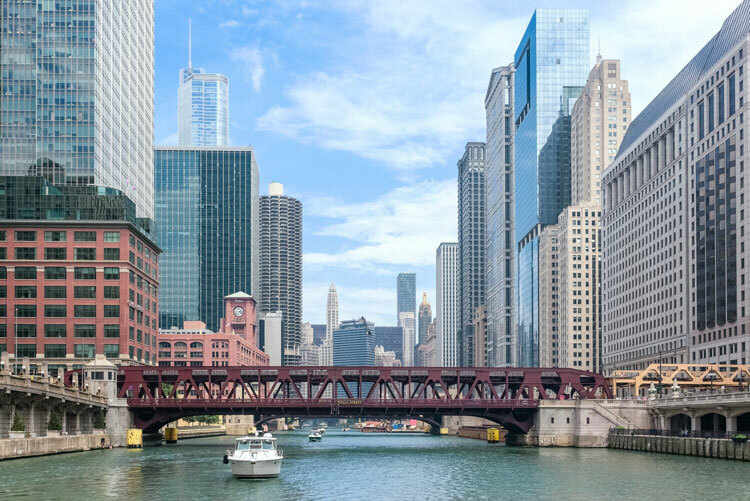 The 20-member Task Force developed the report and spoke with over 40 industry experts and stakeholders to ensure it provides a comprehensive and focused vision for the future of transportation in Chicago. The Task Force examined challenges within the City’s existing transportation network, from accessibility concerns to the rise in ride-hailing trips and congestion issues, as well as the lack of sufficient funding for infrastructure. The Task Force also had focused discussion on the future of transportation – autonomous vehicles, electrification, new micro-mobility services, growth of freight delivery, and data collection and data sharing issues. Prepare Chicago for Connected and Automated Vehicles. These recommendations are supported by over 50 specific proposed actions, policy changes or studies, including: increasing funding for transportation by increasing the state’s motor fuel tax and developing reliable alternative long-term funding streams; establishing a Chief Mobility Officer; incentivizing business to provide public transit benefits to employees; determining a governance framework for uniform data-sharing; launching a pilot to study the impacts of autonomous vehicles; ensuring micro-mobility services and new mobility options are accessible for all and do not impede sidewalks; establishing Chicago as a leader in the use of electric vehicles; conducting a scooter-sharing pilot in 2019; and evaluating ways to restructure transportation-related taxes and fees to better support mobility goals, including reducing the reliance on single occupancy vehicles. In detailing its recommendations, the Task Force also determined the steps the City, its sister agencies, and other key stakeholders must take to implement the actions, policies and studies detailed in the report. The City and Chicago Transit Authority will lead many of the next steps in partnership with Task Force members including City Tech. In collaboration with government, university and industry organizations, City Tech will develop focused pilots to evaluate how a policy, technology, or new solution can contribute to solving mobility problems.